Has anyone of you all, ever used a UV Bacteria Light to treat and kill the bacteria in your water/process? Looking for pros n cons here. Aren't those sort of expensive? @MidOhioHydrographics Do you think an aquarium light would work very well in a big tank? It would be nice if it will. 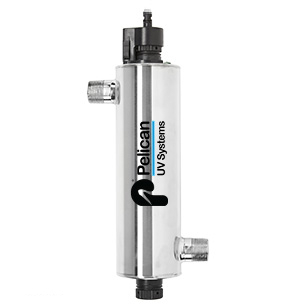 Also, would you need to add a circulating pump to maintain a constant flow for it to work? I was looking at this site, which deals with greater volumes of water, and they recommend a complete turnover every 2 - 3 hours. @WileECoyote may be right about the cost. @Mark78P, If you try this, let us know how it works out. I've got a 150g salt water aquarium. A lot of people use the UV sterilizer lights..A lot of people say they are worthless. 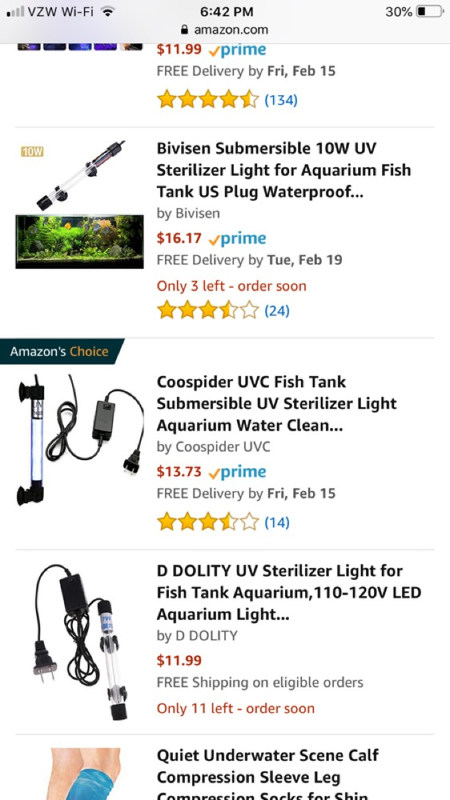 Regardless, yea.. you have to circulate the water across the light for it to work.. that's something that is easy to do in a fish tank, since the water is always moving and has a central gathering area (sump). Would be hard to do it on a dip tank. I would say 2 of those in the scavenge side maybe? No idea. But UV lights work. They have Steri Pens to sanitize water for drinking. I kind of see it as an unnecessary expense, and an overly complicated system to solve a problem that doesn't really need an answer. Unless you live in an area where water is scarce, then just change it out as its dirtied and use the money and time to solve bigger problems. @WileECoyote within our system, every-time we change to fresh WATER we have a collection of issues(bubbles, bad wrap, etc. ), and it kinda robs us of the much needed PH for our process. Basically the less we actually have to clean the better for our process/high volume production. The only issue for me would be the stench due to the bacteria and this is why I am looking into the UV bacteria light (to kill the bacteria = kill the odor). i don't think PH has anything to do with the process. The UV lights won't really work for this process. I looked into them a few years ago for my salt water tank. The water has to be constantly flowing across the light. So unless your tank is always on and always circulating.. it's not going to do much. the air bubbles could be cause you got air in the lines while draining (happens to me also).. and it takes a bit for that air to work itself out. Well.... See this is where it gets tricky. Mine is always circulating. And w/ @Mark78P's systems, it may be also. He works for a very large processor where pH does make a difference for his operation. People assume all tanks are the same, and they are not. We circulate water constantly between the dip and scavenge side to maintain an exact temp for dipping, so we could send a small stream of water through a UV chamber without much issue. We use a small spa pump to keep it flowing always. Any variation in temp can cause soak times to vary. Our cycle time is set, so if in the morning our dip surface is 87 degrees, but 92 degrees in the afternoon? It may cause different results since we monitor our cycle times so tight. Remember one bad dip can mean 100 bad parts for us, not just 1. Consistency is key. @MidOhioHydrographics , very valid point..
@Mark78P I totally forgot you were a production dipper. I was just assuming you were looking at this for at home. Like @smedlin said, the water has to flow across the light and it has a limit as to how deep the effect penetrates. Maybe look at running a bypass to the spray bar that you would be able to use your current pump to move material. Other than going over the weir, I am not sure where you would locate it, and that seems like an inconvenient place for electrical and something that could get damaged. Maybe the aquarium units are less effective, but running it inline constantly as part of your system may accomplish the same result and be significantly cheaper... and not require any modification in your process.